Exciting news! We’re delighted to announce that our brand new programme for 3-5 year olds ‘Dance With Twinklesteps‘ will be launching on Thursday 27th August. The programme includes 50 tracks of original and specially composed piano music, two CDs of music for dance sequences, one CD of songs and piano instrumentals, a DVD introduction to the concept behind the Programme with storytelling and excerpts of some of the exercises/dance sequences, teaching notes (including a breakdown of the exercises, time signature, counts, etc.) and a copy of our story book ‘Twinklesteps and the Disappearing Bird Song’. The program will allow licensed teachers to offer Dance With Twinklesteps classes in their area to help children develop a love of dance and music in a fun and imaginative way, as well as developing a good basic ballet technique from an early age. How can the programme be used? 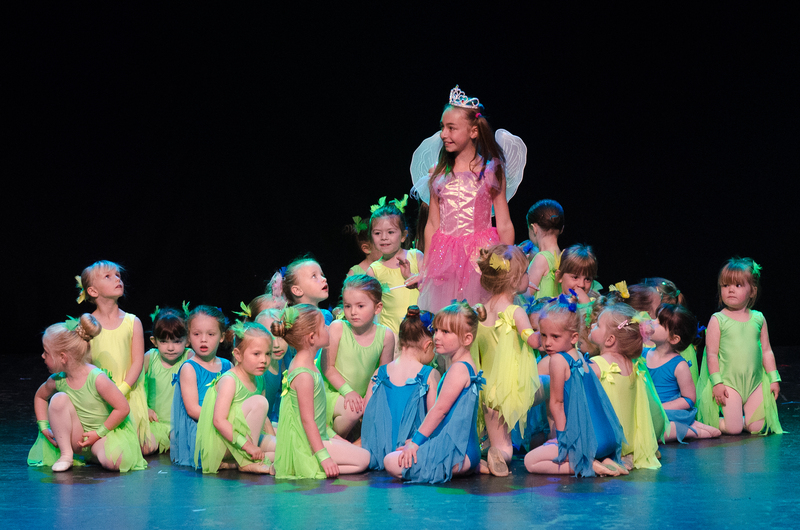 The programme may be used as a whole dance class programme with teachers having the opportunity to hold Twinklesteps Awards and presenting Twinklesteps certificates and medals. It is also possible to integrate the content with other dance syllabuses to add variety and as a stepping stone to the more formal exams. 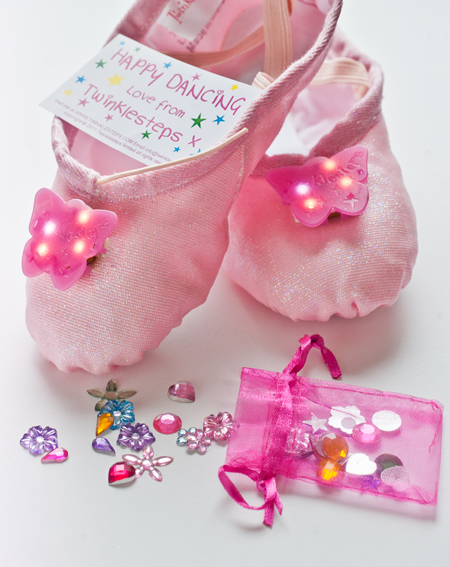 Dance with Twinklesteps has been specially developed for the 3-5 year age group. However, the content and songs such as the ‘Little Birdie’ song and ‘Birdie Dance’ also make it very possible to adapt to a younger age group. There is also sufficient progression in the programme for children up to 6 years, which could be used in which ever way the teacher structures her classes. We will be offering add on packages to licensed teachers which will offer further progression as the children develop in their ability and maturity. The storybook will really help to set the scene and transport children into the magical world of ballet and the programme uses story-centred sequences, covering all basic steps and movements in ballet, appropriate for the age group. We know that boys love to dance too so we do have some fun dance exercises for the boys. The CDs contain 50 tracks of original and specially composed piano music. Two cds of music for exercises and dance sequences, plus one cd of 11songs + piano instrumentals of four of the songs for teachers own use and choreography. 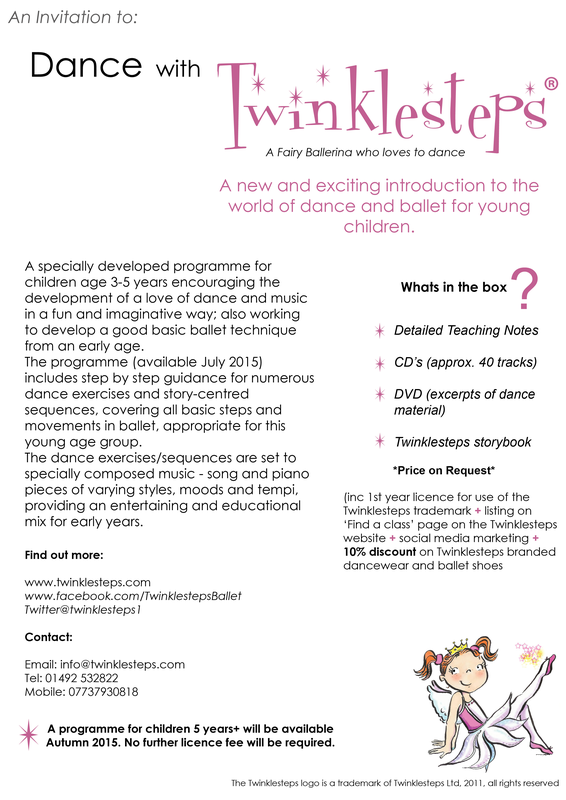 The DVD is an introduction to the concept behind the Dance With Twinklesteps Programme. Rather than being a technical DVD of a dance class, it demonstrates the concept through storytelling and excerpts of some of the dance/exercises sequences. With the help of a narrator, each exercise and sequence is linked into the next and excerpts from our book ‘Dance With Twinklesteps‘ are read out. What’s in the Teaching Notes? The teaching notes provide a breakdown of the exercises, time signature, counts,etc. They also contain some of the script linking to each exercise. This is entirely optional but teachers may find helpful to keep the theme going. This entry was posted in Ballet inspiration, Twinklesteps News, Twinklesteps products and tagged ballet, children, Dance, dance programe, Dance with Twinklesteps, early years on August 19, 2015 by twinklesteps. We’re very excited to tell you that our exciting new dance concept ‘Dance with Twinklesteps’ is launching mid August ready for the September term. 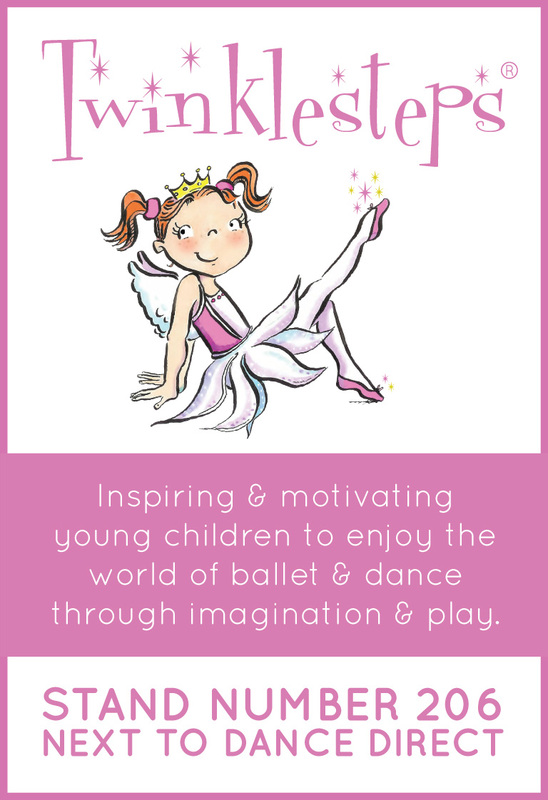 Dance with Twinklesteps is a new and exciting introduction to the world of dance and ballet for young children, encouraging the development of a love of dance and music in a fun and imaginative way. 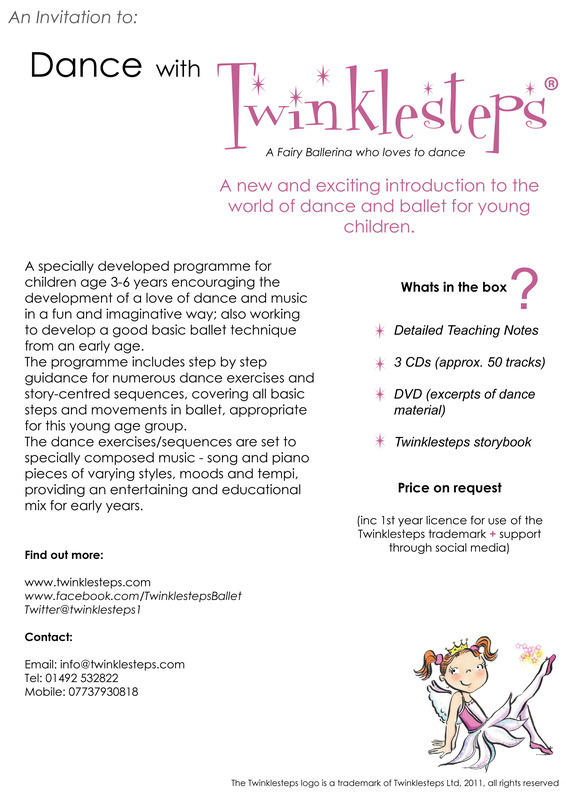 Dance with Twinklesteps has been specially developed for the 3-5 year age group. However, the content and songs such as the ‘Little Birdie’ song and ‘Birdie Dance’ also make it very possible to adapt to a younger age group. 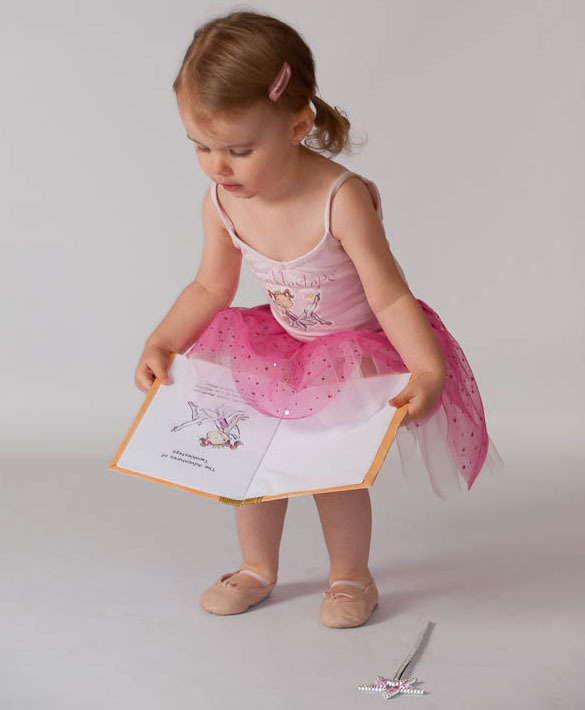 The storybook will really help to set the scene and transport children into the magical world of ballet and the programme uses story-centred sequences, covering all basic steps and movements in ballet, appropriate for the age group. We know that boys love to dance too so we do have some fun dance exercises for the boys. The CDs contains over 40 tracks of specially composed music including dance exercises/sequences and songs with alternatives and choices, plus extra tracks for teachers own use and choreography. Please help us spread the word about this exciting new dance programme by sharing this post and passing on to any dance teachers you know. Tell us what you think on our Facebook page or Twitter account. 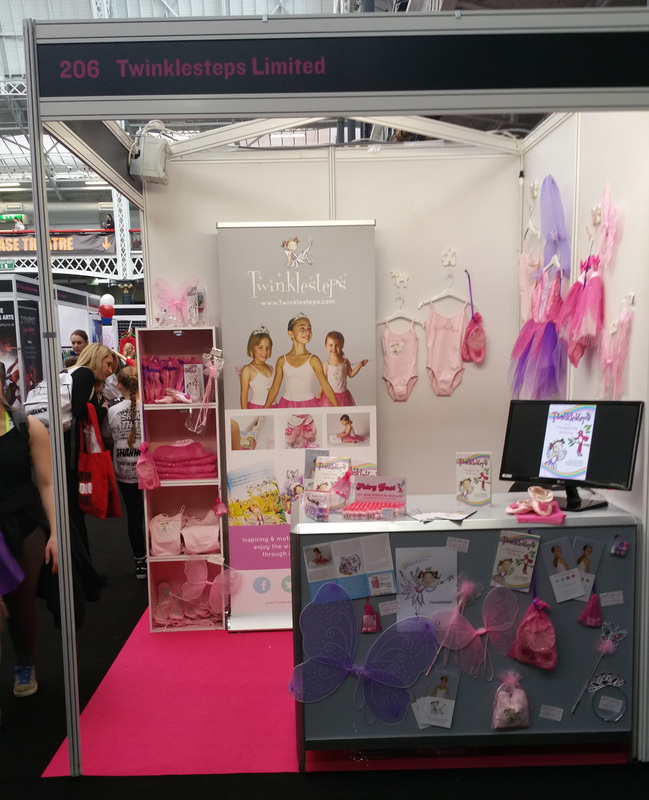 Find out more about Twinklesteps on our website and don’t forget to get in touch on info@twinklesteps.com. 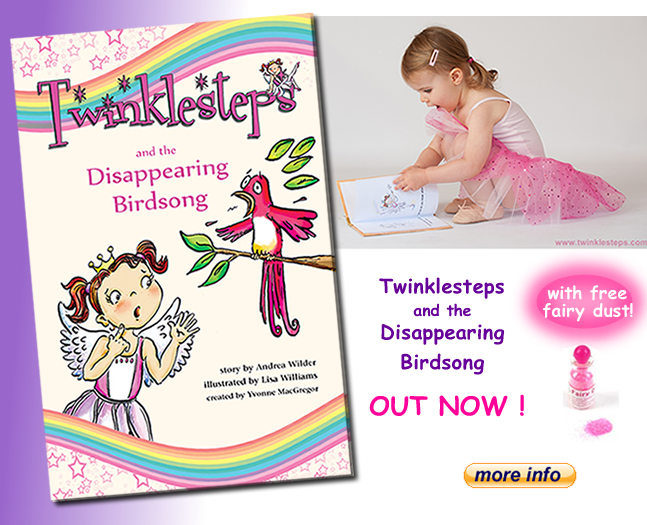 This entry was posted in Twinklesteps News, Twinklesteps products and tagged ballet, Dance, dance exercises, dance programme, Dance teachers, dance teaching, Dance with Twinklesteps, early years, teaching, teaching notes, twinklesteps, Twinklesteps Storybook on June 23, 2015 by twinklesteps.